Among the many Major League baseball greats to walk the streets of St. Petersburg was Mickey Mantle. 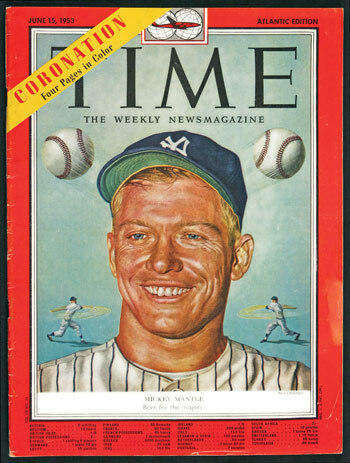 Mantle was three times Most Valuable Player, Triple Crown winner in 1956, and still holds the record for World Series home runs at 18. He was a switch hitter, one of only 8 among position players on MLB rosters in 1951. Many regard him the greatest switch hitter ever. His collar size was 18, and one of his nicknames was ‘Muscles.’ But he did no weight training, nor did he use a protein diet, or work with a personal trainer in the off seasons. 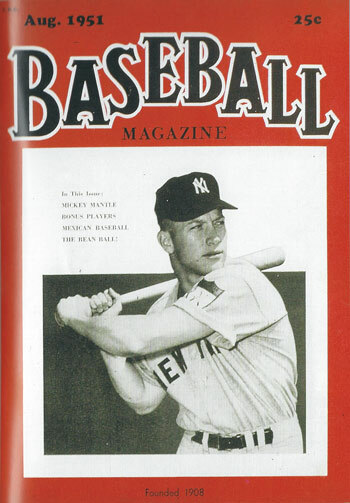 At the age of 17 in 1949, Mickey Mantle was recruited by the New York Yankees. 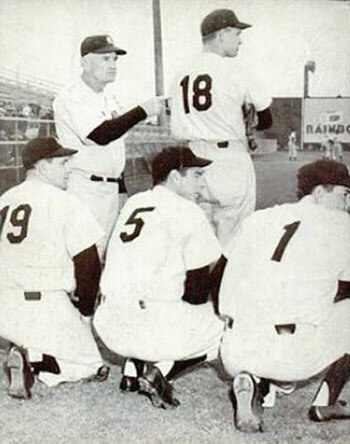 After three years in the minor leagues and the Yankees instructional camp, he was called up to the Yankees Major League Team in 1951 at the age of 19. The Yankees won the pennant in 1951 and Mickey found himself at right field in the World Series. In the second game of the World Series, Willie Mays hit a fly ball to right-center field and Mickey ran for the ball as did center fielder Joe DiMaggio. Joe called for the ball and as Mickey maneuvered out of his way, he tripped over an exposed drain pipe and severely injured his right knee. This was the first of numerous injuries that plagued his 18-year career with the Yankees. He played the rest of his career with a torn ACL, but his leg injuries did not slow him down. He had the highest stolen-base percentage in history at the time of his retirement. In the 1950s, St. Petersburg could rightly claim to be the Spring Training Capital of the World. Between 1914 and 2008, nine major league teams spring trained in St. Petersburg, sometimes two in the same year. The Yankees first arrived in 1925 – with Babe Ruth – and continued through 1961, with some gaps in between. They were in St. Pete continuously from ’52 to ’61 and so was Mickey Mantle. During that time, the Yankees used Miller Huggins Field at Crescent Lake while the St. Louis Cardinals used Al Lang Field. Typically, the spring training season started in late February and ran through early April. 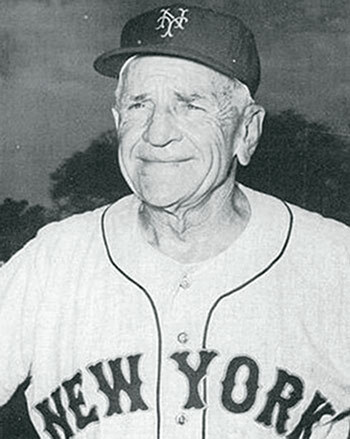 Yankees manager Casey Stengel maintained the suspense about who would replace DiMaggio. 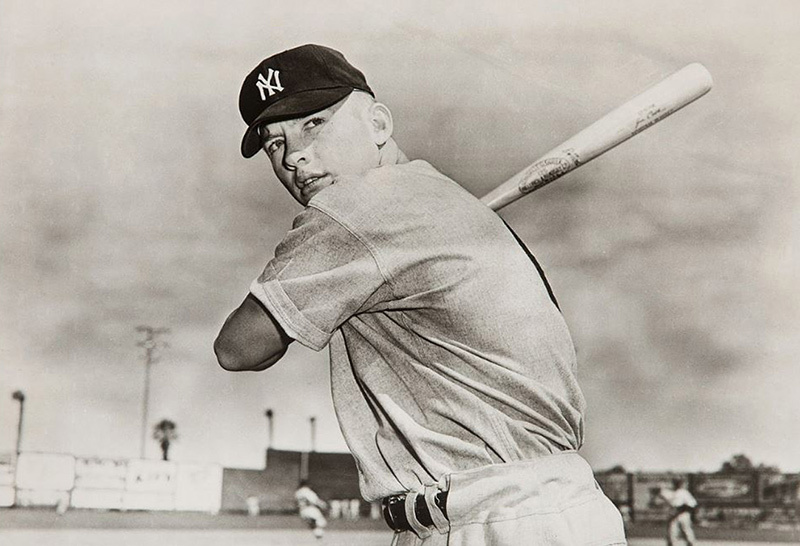 “I’ve got five outfielders, any one of whom could be a regular on any other club.” He went on to name names, saying of Mickey, “Mantle is a big leaguer all the way. He is going to be great.” Stengel proceeded to experiment with his team during spring training, even trying Mickey out at shortstop. Associated Press (AP) sports writer Joe Reichler – in summing up the ’52 spring training season throughout Florida – did not have much to say about Mickey, describing him merely as the “most reticent” of all the players. That most reticent player went on to be the Yankees hitting star in the 1952 World Series with an on-base percentage above .400 and a slugging percentage above .600. 21 home runs during the 1953 regular season. 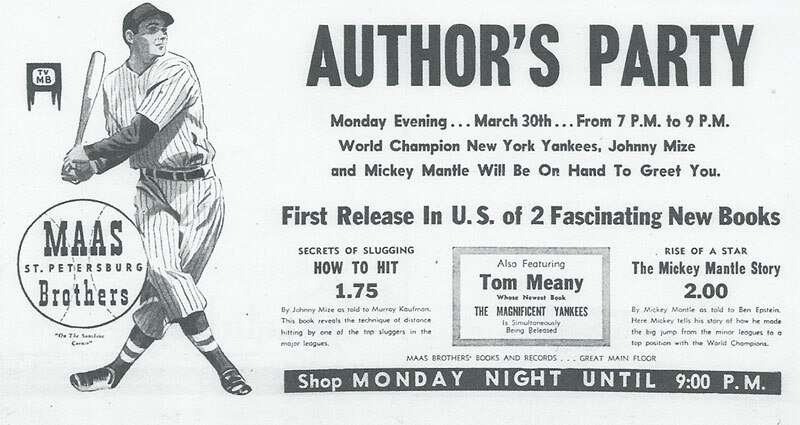 While the Yanks were in St. Petersburg that season, two new baseball books appeared on the shelves. One was The Mickey Mantle Story by Mickey Mantle as told to New York Daily Mirror sports writer Ben Epstein. It included a forward by Casey Stengel. The other was How to Hit by Yankee first baseman Johnny Mize. 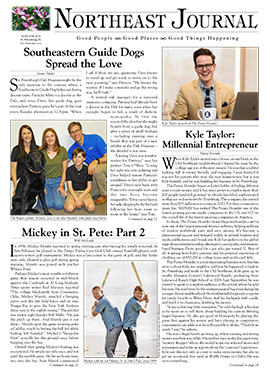 Both Mantle and Mize launched their books with a signing at Maas Brothers department store, now St. Petersburg College’s downtown location. act out hopes for their 18th pennant in 1951. The ’54 spring season began with the press again reporting on the condition of Mickey’s knee. In November, he had torn cartilage removed, and in February a cyst was removed. Referring to Mickey as “a baby-faced baseball player just past voting age,” news of the cyst was carried by Associated Press on its ‘A’ wire, a line reserved for news of the greatest importance. Mickey began training restricted to jogging and hitting righthanded to reduce the weight on his healing right leg. (Righthanded hitters put more weight on their left leg.) But these restrictions did not interfere with his batting. During practice, he hit the centerfield fence at Miller Huggins Field, a distance of a little over 400 feet. Then he did the same with the rightfield fence. New York Mets from 1962-65. Circa 1963. Times sports writer Jack Ellison noted regarding the ’55 spring season that “there are so many St. Petersburg datelines appearing in the nation’s press these days that I hear the Reds are kicking themselves for changing the name of that city from St. Petersburg to Stalingrad.” He went on to note the Havana Yacht Race, the St. Petersburg Golf Open, and of course the Yankees and other major league baseball teams playing in St. Petersburg. For Mickey, the season began very much as a family affair. In addition to Mickey, his twin brothers (Ray and Roy) had also been signed by the Yanks to a Class D team and were playing at Crescent Lake at the Rookie School which preceded spring training. His cousin Max – also a Yankees minor league player – was there as well. None of his brothers or cousin, though, ever made it to the major league. 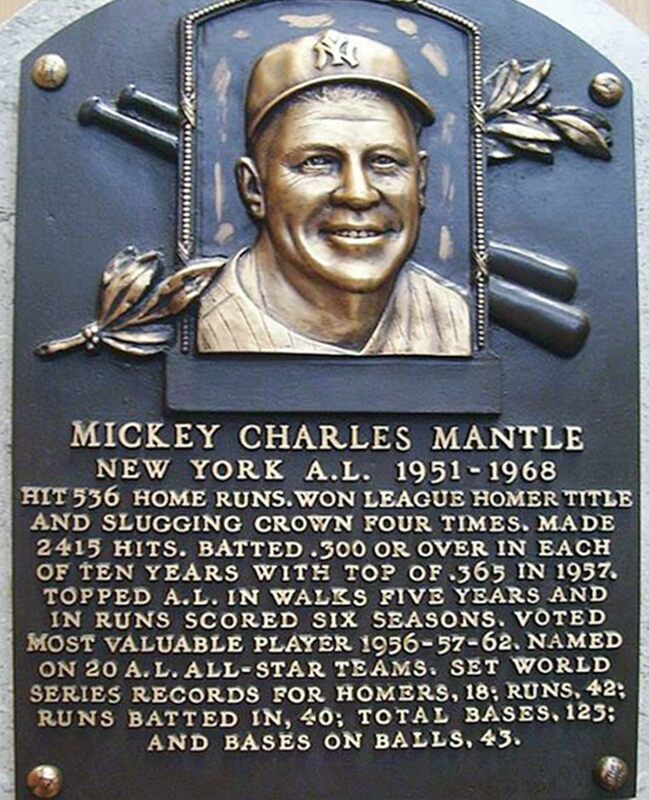 Mickey’s plaque at the National Baseball Hall of Fame. Mickey was inducted in 1974.